How to increase growth rates of the economy and overcome poverty in Russia? It is very simple. 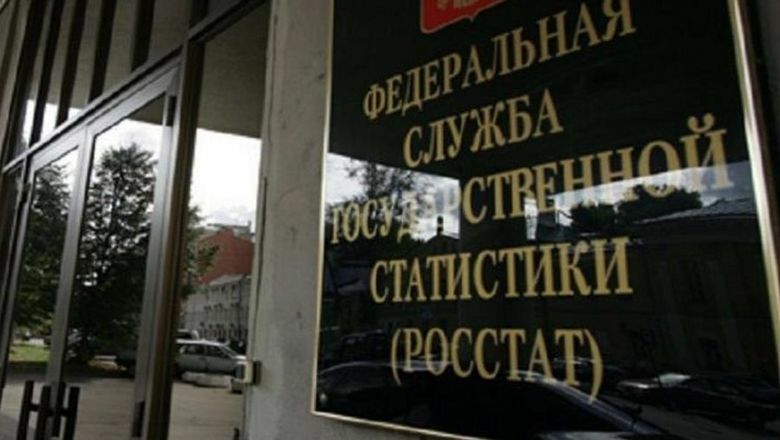 It is necessary to appoint such a head to the Russian Federal Statistical Service (Rosstat) who will draw both economic growth and an increase of income of the population, and unceasingly trumpet about this in the mass media. So they did. Prime Minister Medvedev, due to the deterioration of macroeconomic statistics for the second half of 2018, decided to “remedy the situation” by replacing the head of Rosstat. Moreover, Minister of Economic Development Mr. Oreshkin constantly demanded from the former head of the statistical agency to give “more optimistic” indicators. At the same time, the biggest accusations set against Rosstat were that the state statistical service showed a drop in real incomes of the population. Therefore, the government decided that reform is due, as Finance Minister Mr. Siluanov said, regarding “the team, principles, methods and works”. The new head of the service should show only such a picture of the developments in the economy, which Putin and propaganda in the media need. On 24 December, Pavel Malkov, a “big specialist in statistics,” previously the Minister of Economy of the Saratov region, was appointed head of Rosstat instead of Alexander Surinov, who had been heading the statistical agaency since 2009. In early February, Rosstat announced a “record high” GDP growth for the past six years – 2.3 per cent for 2018, unexpectedly finding a construction “boom”: instead of 0.5 per cent as of the end of the year, the growth is as much as 5.3 per cent. At the same time, they retroactively corrected the decline of the economy in 2016 (minus 0.2 per cent) replacing it by growth (plus 0.3 per cent), and also reported a change in the method of measuring the level of poverty in Russia. Thus the growth of the economy and eradication of poverty will from now on be taking place directly in Rosstat. And the methods of calculation of the “achievements” will be hidden from the experts in the Investigation Committee (just as sportsmen’s doping tests were hidden from WADA). Economists have nothing to do here. Consequently, there will be an additional slowdown in economic growth, because strategic investors, as a rule, do not work in the countries where there is no truthful, trustworthy statistics. Such conditions are suitable only for speculators. But in addition to the need of promoting fake successes and creating beautiful reporting for the authorities, there is another, more serious reason for purging Rosstat: the upcoming 2020 national census of the population can reveal extremely sensitive political problems. According to the data of the same Rosstat (under its previous head), in January-October 2018, the natural population decline reached 180,000 people and was record high for the past ten years – 600 people per day and over 4,000 people per week. As a result, the total population began to decline – by 78.700 people for the past ten months. And these problems seem to be just the top of the iceberg. Grigory Yavlinsky is Chairman of the Federal Political Committee of the Yabloko party, Vice President of Liberal International. Doctor of Economics, Professor of the Higher School of Economics. Posted: February 6th, 2019 under Economy, Russian Economy.